Today we interview author and customer experience expert Blake Morgan to discuss the future of customer experience and her new book, More is More. Blake Morgan is the author of More Is More: How The Best Companies Work Harder and Go Farther To Create Knock Your Socks Off Customer Experiences (Routledge 2017). She is an advisor, speaker, podcast host and the President of SOCAP’s Northwest Chapter. Blake is a former customer service practitioner having worked with and advised companies such as Intel, Verizon Wireless and many more. She lives in Alameda, California with her husband and their baby girl. 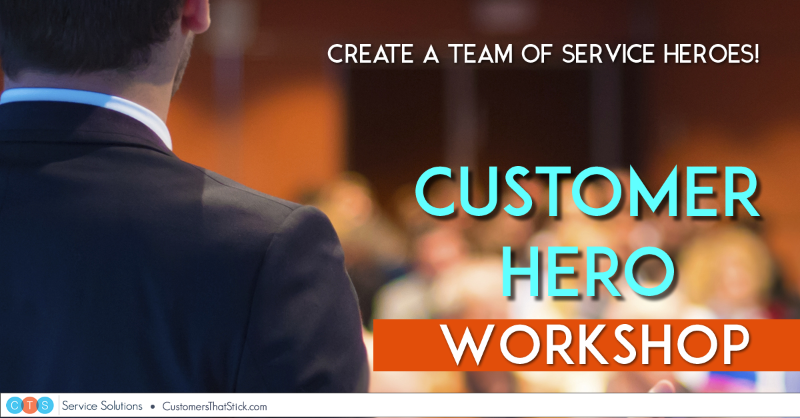 Want to bring game-changing customer service training to your team? CTS Service Solutions offers a half-day in-person workshop designed to motivate and educate your customer-facing team members. Using energy, excitement, and interaction, our workshop helps frontline teams embrace a customer-centric outlook, then — using the principles from our book Be Your Customer’s Hero — gives them the skills and confidence they need to handle any service interaction. Don’t leave your frontline team hanging… Give them the training they deserve. Learn more at customerheroworkshop.com, that is customerheroworkshop.com. Over the past decade, there has been a huge emphasis on customer experience in the business world. We’ve come a long way! But today’s guest says we still have a long way to go. So why are many companies still failing? From social customer care to the importance of creating a better employee experience, Blake shares highlights from her groundbreaking new book, More is More. It’s all about leveraging the many overlooked opportunities to differentiate your brand through excellent customer experiences. Where do many self-proclaimed “customer-centric” companies go wrong? How can we prepare for the best possible customer experience in the future? This episode covers a lot of ground. Listen in! Take care of yourself and take care of your customers.